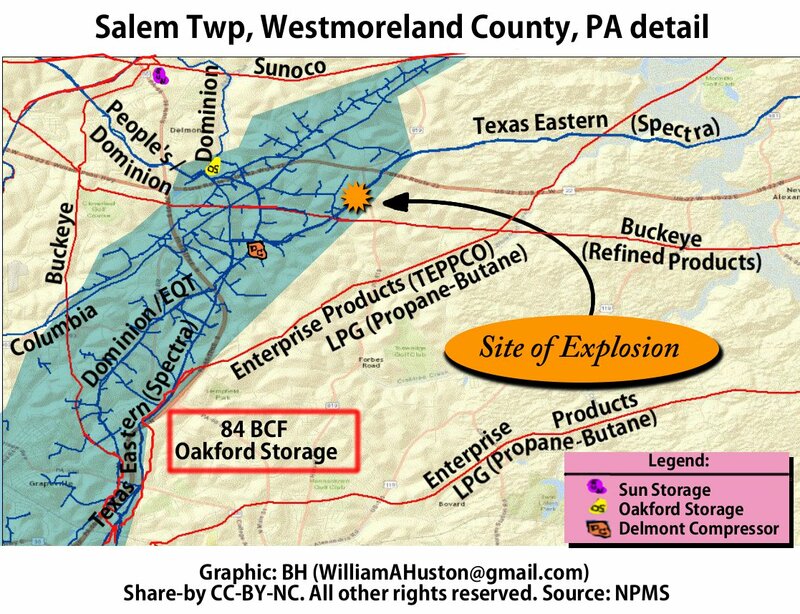 explosion in Westmoreland County PA.
transporting Wet Gas, which burns hotter. There was some involvement of a storage well, which may have contributed fuel to the fire. (perhaps) the worst pipeline accident in US History. (At least the worst I have seen). 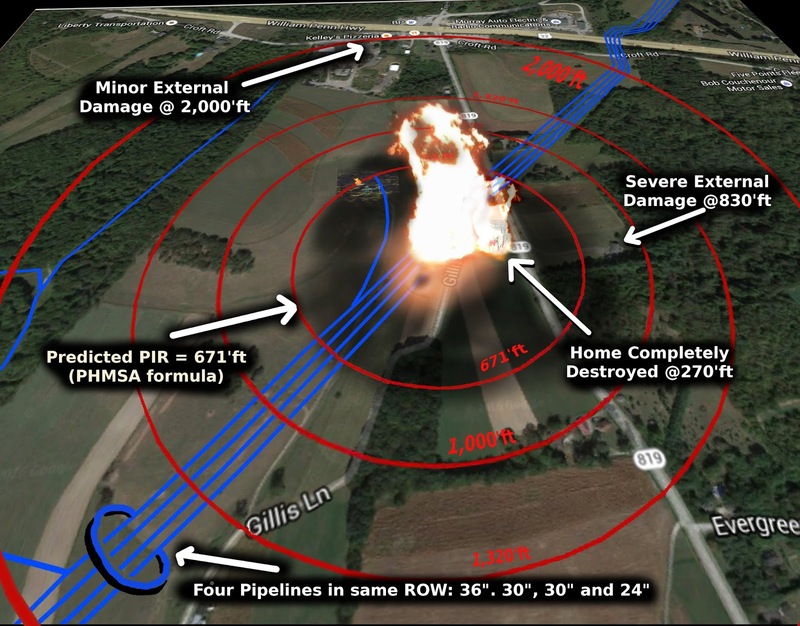 pipeline Class, High Consequence Areas, and Potential Impact Radius. to 4 pipeline segments in the same ROW. St. Charles County MO in Oct 2012, as written about by Julie Dermansky in Desmogblog. 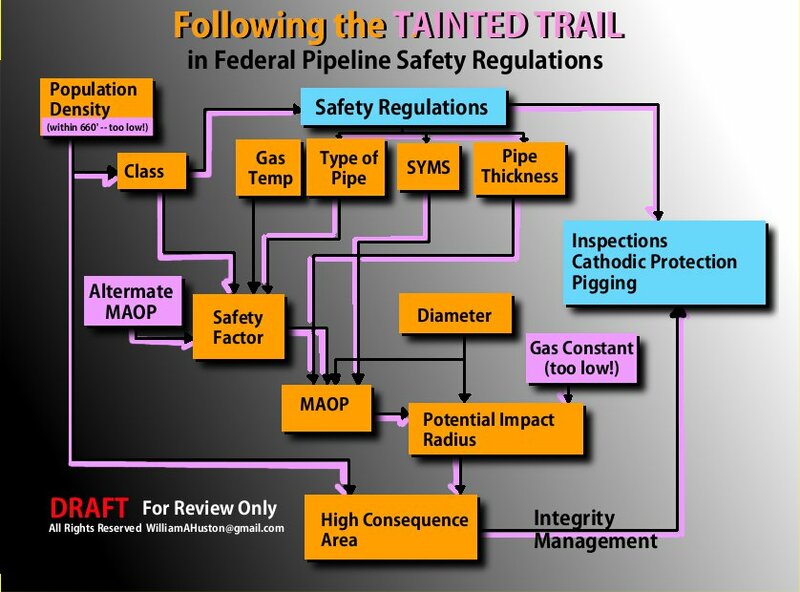 cause, and the connection to Cathodic Protection). Any root cause analysis must examine many possible contributing factors. There is a very easy scenario which could be a primary factor: Human Error. have caused a pressure surge which could have caused the weakest link to fail. into a single PDF, and I will also probably make a short video about my findings. (Photos are presently missing captions... work in progress! and continue with my public service work. raise $1,000 it would really help me continue this work. 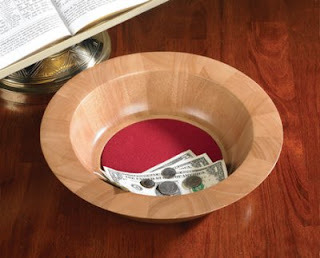 the collection plate BEFORE the service? Where's the faith in that!? I like to raise funds for projects I've already completed. $200 for my video of the COP-21 debrief. $200 for my on-going investigation to the TETCO/Spectra failure in Salem, Westmoreland Twp. PA.
tracing the dumping of Landfill Leachate from Seneca Meadows. Some others which I can't talk about ... yet! I did some investigating of this incident myself and used it as part of evidence that our 500-foot setbacks from homes and schools was woefully inadequate. Safety Administration (PHMSA) regarding the April 29 incident at Salem Township, Pa. According to the amended CAO, dated July 19, 2016, “The cause of the failure is unknown at this time, and the investigation is ongoing. The failed pipe section has been transported to an independent metallurgist for examination and failure analysis. The preliminary investigation has identified evidence of external corrosion at circumferential welds at the Failure Site. The pattern of corrosion indicates disbondment of the coating material applied to the girth weld joints.” [End quote]. There is a 24-hour media line on this source if you need more information. Also contained in this news item are a number of previous updates going back to the date of the incident. 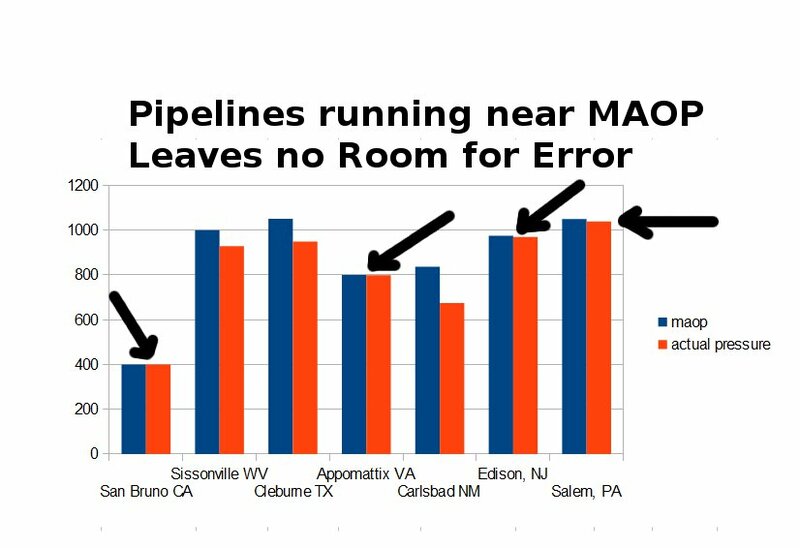 I will say that evidence of coating disbondment involving a single pipeline at a single location that allowed circumferential welds to rust is a far-larger problem than just that single location, in-fact it involves any welded pipeline joint where that coating was used to try to prevent exposure of the welds to water seepage. Perhaps you would like to see Spectra's presentation on this? This is from September 14 2016. There must be more.